The worst thing about selling your items is when there are no takers. This is especially so for a car owner looking to get a good deal on their vehicle. Given the extremely hefty price-tag that comes with cars in Singapore, selling it off is often less about making a sweet profit margin, but more about softening the blow of the initial purchase. But selling a big-ticket item like a car is hardly similar to selling your H&M sweater on Carousell – buyers are far fewer, and more likely to window-shop before making a deal. 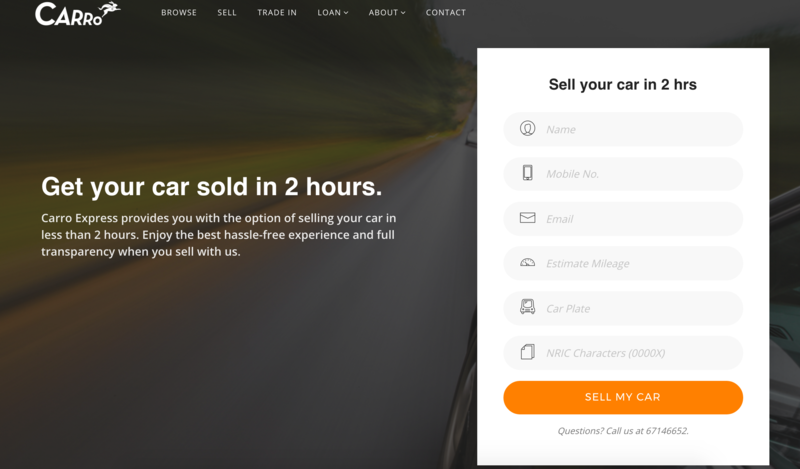 This is where car classifieds startup Carro wants to come in and speed up the process. 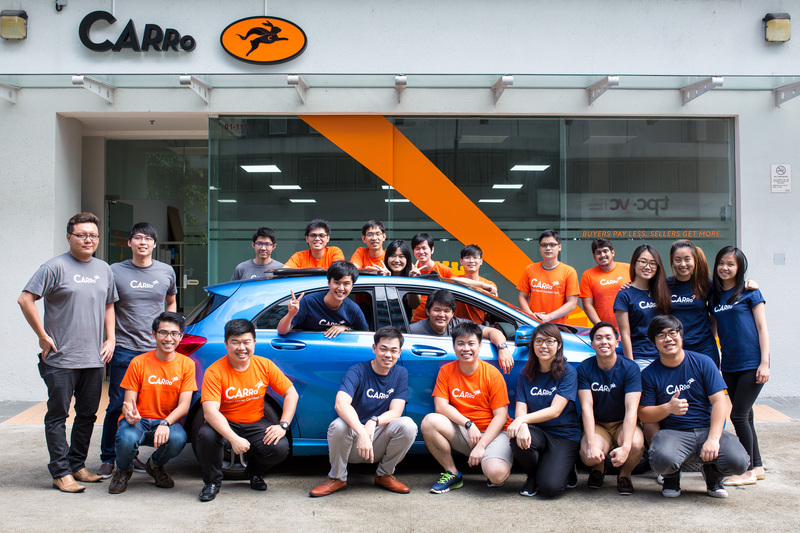 Today, the Singapore startup announced the launch of Carro Express, which is described as an “on demand vehicle trade-in auction marketplace”. What this basically means is that instead of requiring the seller to wait for bids from dealers, Carro would first buy the car from the seller, and then later resell them to dealers via its global auction platform. All sellers need to do is fill up a form, decide if they want to take up the offered price, drop off the car for a check by mechanics, and leave with payment, done via wire transfer, in hand. The entire process is said to take “as short as two hours”. How the prices for the used cars are determined is through the use of algorithms and machine learning techniques, which Carro Express uses to “quickly and accurately gauge the market price of vehicles in real time”. “Selling a car can be a daunting process – most people do not like the idea of visiting dealer to dealer and haggling over prices. We want to make selling a car super convenient and hassle-free. While we cannot guarantee customers a better price than going direct, it will be equitable given the speed.” said Aaron Tan, CEO of Carro. Given that the main focus of ‘parent’ Carro is to give sellers better pricing, Express serves to help them get rid of their cars more efficiently, and at the same time, create a “global auction platform” on which cars can be resold quickly to both local and overseas dealers. “Carro Express is a game changer. At scale, we are effectively creating an international clearing house for motor vehicles,” said Vinnie Lauria, Managing Partner of Golden Gate Ventures. “Aaron and his team have built great products that uses technology to make a very large industry more efficient and transparent. The traction has been outstanding and we anticipate Carro to become a major player in Asia,” added Stefan Jung, Managing Partner of Venturra. But how exactly is this model going to work out, given that the startup is, in a way, taking a risk with cars that could potentially be unwanted even after putting them on a global auction platform? 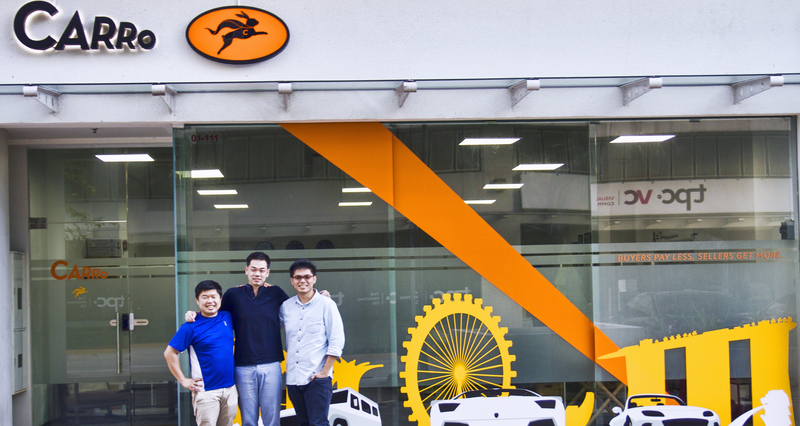 We reached out to Aaron Tan, CEO of Carro, and got some answers. The last time we heard from your team was last year – has the launch of Express been something that has kept the team busy since then? Carro Express was one of the many things that kept us super busy, since our string of PR back mid of last year. The key reasons (for the PR) being that of regional expansion, amongst new product launches. But Carro Express is probably the main thing that we are super excited about. What were some of the main issues you’ve heard from buyers/sellers that made you decide to embark on this model? One of the main reasons why we decided to launch Carro Express is because a good portion of the customers wants to sell their car quickly (for various reasons) within 24-48 hours. I once recalled an expat seller leaving back to India in 24 hours and he tried selling on Carro, thinking that we could sell the car for him instantly. These constant requests prompted us to launch Carro Express. What was lacking in the local car buying-selling scene that needed addressing? The industry needs a place that it could transact used cars safely and at scale. Carro aims to fill that void nicely by facilitating the sale. Original, good quality, local automotive content is also severely lacking e.g. it is hard to find a video review of new make and models in Singapore (even after the car model has been around for years). Was setting up a global auction platform tricky? A lot of other competitors only do local buyer-seller transactions. Yes for sure. It helped having a fairly international team from the get-go – almost 70% of the company are foreigners. That helped tremendously on our expansion plans and the signing up of customers outside Singapore. I think it can be seen as a risk to the company to take on a vehicle first before selling it off – what happens if there are vehicles that simply won’t sell off at auctions? What do you do with them? We are not too worried about it as we are fairly proud of our model and believe in our pricing. But there is always a clearing price for cars, the question is how much of a loss do we want to suffer in the event we can’t resell the vehicle after. What are your wishes for Express in the future? Could you maybe explain the “International clearing house” part a bit more? We want to own the regional automotive trade flow – for example, a car from Singapore can be sold thousand of miles away in UK and vice versa. The ICH (clearing house) describes the ambition of us to transact hundreds of thousands of cars per day. Were there any challenges so far, and how did you manage to overcome them? The journey insofar is fraught with challenges. Everything from hiring a strong team, to fund raising, receiving legal threats, ensuring customer satisfaction and proving product market fit has been incredibly challenging the past year or so. I wouldn’t say that we have overcome all of them, but we have definitely emerged stronger as a result of all these incidents. Ultimately, the main solution to problems is people, and hence we place a lot of emphasis on hiring the best people. Lastly, what do you think of Carousell’s new focus on the car classifieds market with the launch of Carousell Motors? We fully expect the need for a horizontal classified to verticalise – in fact, we think this is the start of many vertical acquisition/launches by Carousell. The very fact that they chose to start in Auto means its a great space! Automotive is huge, so while we may be going after the same target market, the truth of the matter is our business model is extremely different. You buy/sell/transact on Carro but you list your car on Carousell Motors. We thank Aaron for his time. Check out Carro Express here, and start selling now!